A lean, thick and tender meat cut ideal for stewing, braising and curries. Lower fat and higher protein make this a great choice. Supplied direct from our Spanish supplier. 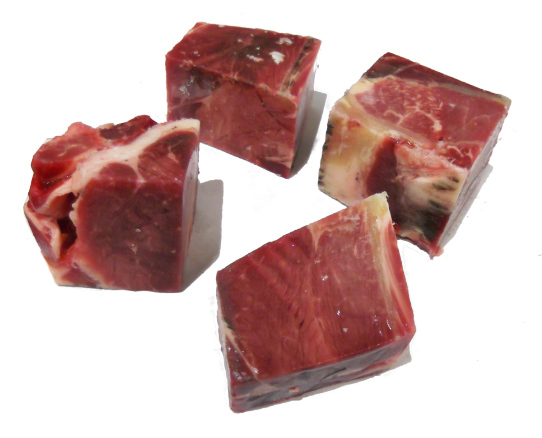 Diced on the bone and frozen. Available in 1kg bags at only £9.98 each.